The BSc (Hons) Construction degree prepares students for an exciting career in the construction industry. The construction industry is vital to the UK economy. Around 10% of the workforce is employed in this industry, which provides a wide range of opportunities for construction graduates. The career opportunities in the construction industry are unique because they are closely linked to allied engineering sectors, e.g. civil and mechanical engineering. As University Centre Peterborough is the flagship higher education provider in Peterborough we are well suited for this course because of its historical roots in construction education spanning decades and the partnerships with major employers, e.g. JBA Bentley and Atkins Global. This course will enable graduates to develop their capacity for leadership positions in the construction sector. 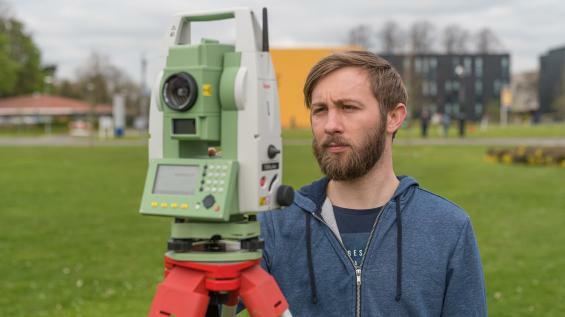 Another integral aspect of this degree is the introduction of a structured placement to encourage students without prior experience in the construction industry to gain practical work experience. Students are able to develop their communication, numerical, IT, teamwork, analytical and problem solving skills within a built environment context. At Level 4, students learn the background applications of science in construction, principles of the UK legal systems, economics, professional skills, modern house building methods, site management, and surveying. At Level 5, they investigate resource management to identify and manage the resources required to operate a construction organisation with focus on the development process. At Level 6, students will have a knowledge of lean and value management, and new exciting modules on environment and sustainability. The Undergraduate Project provides a platform for students to work independently to develop expertise in a specified area that can deliver design solutions for a construction project. Two-thirds of construction graduates earn above UK average salary. Coursework is geared to equipping students with communication and management skills. There is the opportunity for a structured placement to gain practical work experience.